No matter if you are holding training courses, planning your business operations or reaching vital decisions, you are more than welcome to Hotell Forsen. We have two conference rooms, one for larger parties of up to 50 participants, and one smaller room for up to 8 people that could also be used as a group room. Anna Öbrand is in charge of conferences and events at Hotell Forsen. She can help you make bookings and plan activities and meals as well as answer your questions. Submit a request to anna@hotellforsen.se or call her on +46 933-397 00. Would you like to join us first thing in the morning? 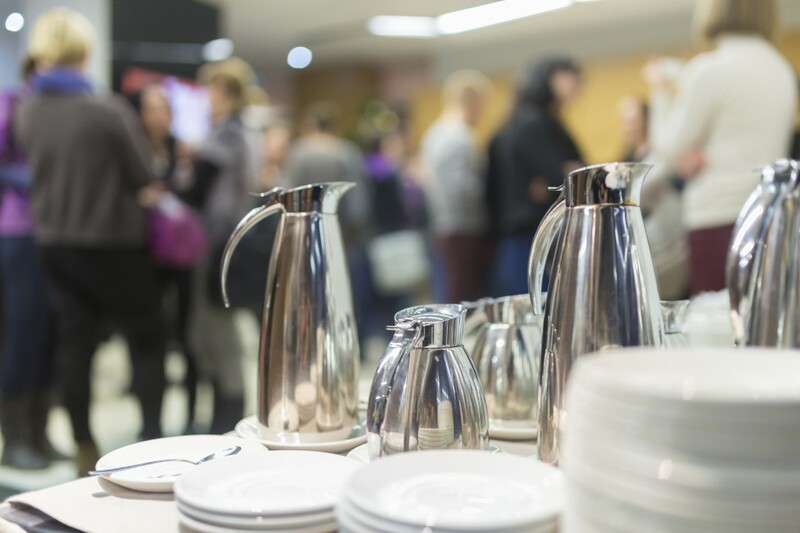 We offer morning coffee and snacks and make sure the conference room is set up, ready and waiting for you. Internet connection, projectors, and whiteboards are available in both our conference rooms. Water and fruit are also provided for you in the rooms. The lunch buffet is served in the ground floor restaurant overlooking the Renforsen rapids. Lunchtime is also the perfect time of the day to take a short walk in the beautiful surroundings. An afternoon break with coffee, a vitamin shot and freshly baked cake gives you the energy needed to stay focused for the rest of the working day. Choose if you want to start or end the conference with lunch in our restaurant. The conference room awaits you with lighter refreshments for when you start. Morning or afternoon coffee with a light snack is included within the price. Arrive in time for lunch, after which you can start your meeting in one of our conference rooms. Later in the afternoon, you can choose if you wish to partake in one of our activities such as teambuilding, walking on hot coals, white water rafting, herbal walk, dog sledding, or continue your conversations and the meeting on a Walk and Talk along the shores of the Vindel River before enjoying the afternoon break by a campfire along the banks of the river. Our a la carte restaurant will serve you a tasty meal cooked from local products. We serve a selection of organic wines and also collaborate with some small-scale wine producers. The food and wine have been chosen to complement each other and we are happy to guide you with your choices. The night is spent in one of our hotel rooms after which a tasty breakfast awaits with freshly baked waffles, freshly squeezed juices and homemade jams. You can start your conference as and when you please and set your own time for a morning coffee and cake break with a vitamin shot. Lunch wraps up the conference before departure.